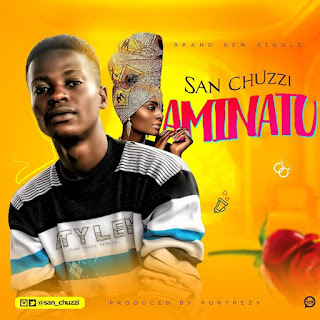 San Chuzzi Is Unarguably One Of The Most Consistent Upcoming Acts. He’s Back Again With A New Song Titled “AMINATU” This Is Coming After The Release Of His Last Track “BULALA Ft. Unique”. “Aminatu” Is A Sweet Love Story With A Happy Vibe And It Was Produced By Portrezy, “THE BEAT KONTROLLER“.